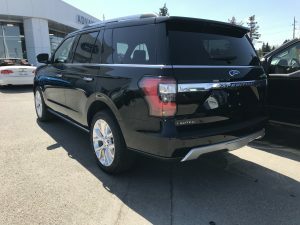 The New 2018 Expedition Limited Just Arrived! We are so excited! This 7-passenger vehicle is awesome and features beautiful leather bucket seats, trailer tow package, power-deploy running boards, driver assistance package and more! Check out the video that we did with our Zach Barr – one of our awesome Sales team a few months back to give you an idea of what it’s like or come on down to Advantage Ford to see it all clean and in it’s glory! 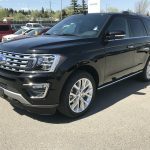 This isn’t the exact model that just arrived yesterday (May 14th) but come on Down to Advantage Ford here on MacLeod Trail South and take a peek! Click here to see the Expedition in our Inventory!